The Chairman of the Council of Presidential Advisors (CPA), J.Y. 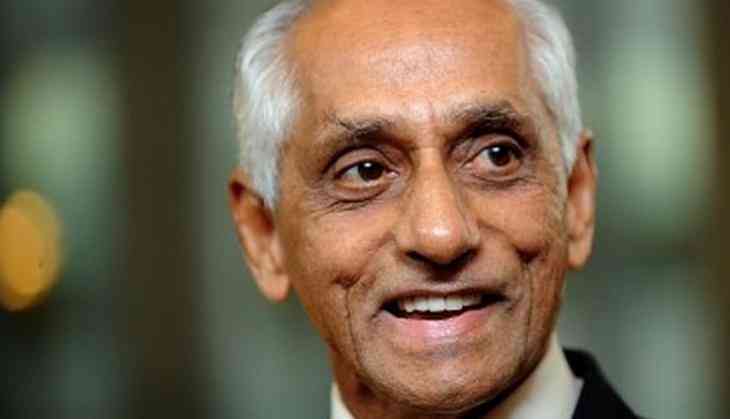 Pillay, reportedly of Indian origin, will serve as the acting president of Singapore until a new president is sworn-in, following the end of President Tony Tan's term on 31 August. When the office of president is vacant, the first in line to exercise powers is the CPA chairman, followed by the Speaker of Parliament, The Straits Times reports. Pillay will act as the president until after the polling day on September 23 or after the nomination day on September 13, if a candidate is elected unopposed. According to The Straits Times, Pillay is no stranger to exercising the powers of the president. As CPA chairman since 2005, he has been the acting president each time the president went on an overseas trip. He acted as the president in May, when Dr. Tan made state visits to Europe. Pillay has served more than 60 such "stints" - the longest of which was 16 days in April and May of 2007, when then President S.R. Nathan visited Africa. Pillay was a veteran civil servant, whom founding Prime Minister Lee Kuan Yew claimed was "equal to the best brains in America". He has also served as the permanent secretary in the finance, defence and national development ministries and was also the chairman of the Singapore Exchange and DBS Bank, and managing director of GIC and the Monetary Authority of Singapore. He is well-known for his role as founding chairman of Singapore Airlines (SIA).